To raise awareness about diabetes and healthy living, Advanced Urgent Care is proudly participating in American Diabetes Month. Locally, 6.8% of people live with or are at risk of diabetes. 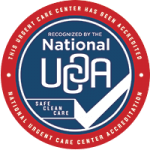 For more information, visit Advanced Urgent Care & Occupational Medicine or contact us at 303-659-9700.